The Centers for Disease Control and Prevention (CDC) have recently published findings regarding the latest trends in hospital-acquired infections (HIAs) in the U.S. While some HIAs have shown promising decreases, according to this report, the CDC notes that there is room to improve and further protect patients. 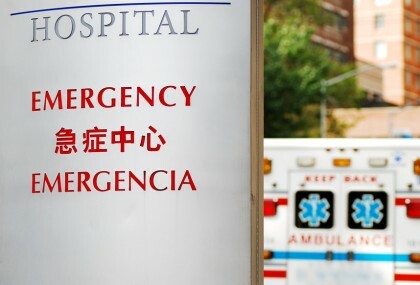 While there have been some promising drops in the rates of hospital-acquired infections in the U.S., more needs to be done to prevent HIAs, the CDC says. 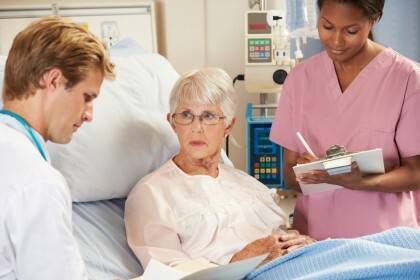 Hospital-acquired infections refer to communicable illnesses (i.e., contagious diseases) that people develop as a direct result of staying in hospitals. According to data from the CDC, every day in the U.S., about 1 in every 25 patients receiving care in a hospital setting develops at least one HIA. Given that hospital-acquired infections are preventable, the CDC has been focused on evaluating trends in HIAs, with an eye towards developing and assessing the effectiveness of various prevention initiatives. Catheter-related urinary tract infections (UTIs). Central-line bloodstream infections dropped by 46 percent. Surgical site infections declined by about 19 percent. MRSA infections decreased by approximately 8 percent. Diarrheal infections dropped by about 10 percent. While catheter-related UTIs increased by about 6 percent, these hospital-acquired infections are declining overall when looking at the bigger picture. Despite the promising drops in hospital-acquired infections indicated by these findings, it’s important to point out that these decreases have fallen short of reaching the goals for reductions in HIAs set by the U.S. Department of Health and Human Services in 2009. While the CDC continues to monitor trends in hospital-acquired infections in the U.S., contact us if you’ve been diagnosed with an HIA. We can help you. Central-line bloodstream infections dropped by about 70 percent (24 percent more than the national drop). Surgical site infections saw both an increase and decrease in Oregon, as the rate of surgical site infections related to abdominal hysterectomies increased by about 12 percent while these infections related to colon surgeries dropped by about 25 percent. MRSA infections decreased by about 38 percent. Diarrheal infections dropped by about 24 percent. Catheter-related UTIs increased by about 16 percent. Here, it’s important to note that Oregon is among 10 states whose health departments are participating in the CDC’s Emerging Infections Program, which is focused on researching and reducing hospital-acquired infections (among other things). Understanding the current status of and trends in hospital-acquired infections – both on the state and national level – is just the first step in preventing HIAs and saving lives. The next step is identifying and implementing various methods of reducing these infections. To this end, the CDC will be adding a new tool to its HIA reporting system that will allow hospitals (and other health care facilities) to identify which of its units are associated with the highest numbers of hospital-acquired infections. The goal is to help hospitals better target problem areas and improve patient safety in these units. Have you or a loved one developed a new injury or illness as a result of staying in a hospital? Or have you been hurt by any medical mistakes? If so, you can rely on the Portland medical malpractice attorneys at the Savage Law Firm for experienced help and aggressive legal advocacy. At the Savage Law Firm, our lawyers realize how devastating medical negligences can be on a physical, psychological and financial, level. That’s why we are here to aggressively defend injured people’s rights to both justice and compensation – and why we are ready to start helping you today.